Tirofiban is a non-peptide selective glycoprotein (GP) IIb/IIIa receptor inhibitor that reversibly inhibits fibrinogen-dependent platelet aggregation and subsequent formation of thrombi, which contribute to the major atherosclerotic complications in the development, progression, and resolution of ischemic stroke. The adjunctive use of tirofiban has been extensively evaluated in progressive stroke, combined intravenous thrombolysis (IVT), and endovascular treatment (EVT) in both preclinical and clinical studies. 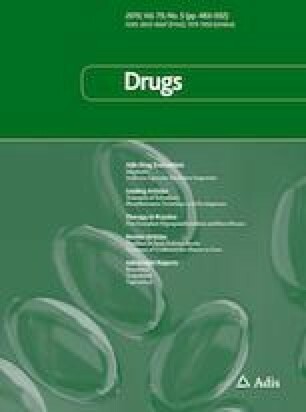 A body of evidence has been accumulated on the risks and benefits associated with tirofiban in terms of prevention of stroke progression, stent thrombosis, improvement in functional independence, and mortality, especially among high-risk ischemic stroke patients as a further strategy alongside conventional treatment. In general, tirofiban has a favorable tolerability and efficacy profile in the improvement of vascular recanalization and long-term functional outcome, although the optimum dosage, application setting, and precise target patients are not yet well-established. However, its specific inhibition of ongoing platelet aggregation and thrombus formation rather than absolute thrombolysis suggests that tirofiban, one of the most widely used GP IIb/IIIa inhibitors, with high affinity and a short plasma/biologic half-life, may have great potential in the acute treatment of ischemic stroke. Substantial practical progress is likely as our understanding of the mechanism of action and pharmacological actions of tirofiban in atherosclerotic ischemic disease improves. Therefore, we classify and summarize the available findings regarding tirofiban in acute ischemic stroke to stimulate and guide further research and clinical practice. This study was supported by a grant from National Key R&D Program of China (grant number: 2016YFC1301500) and National Science and Technology Major Project of China (grant number: 2015BAI12B02 and 2017YFC1310901). Ming Yang, Xiaochuan Huo, Zhongrong Miao and Yongjun Wang have no conflicts of interest that are directly relevant to the contents of this article.